Large-sized fruit, oval-shaped, bright orange colour, with juicy seedless flesh and average skin thickness. The period that Newhall variety flourishes is from mid-November until mid-January. Large fruit, of spherical shape, bright orangecolour, with juicy seedless flesh, with excellent scent and average skin thickness. It has great resistanceto transport and storage, it is a fruit which peels easily and is distinguished for its excellent taste as an edible fruit. The period that Navel variety flourishes is from mid-December to mid-May. 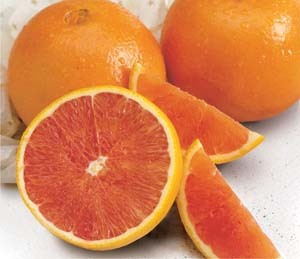 The advantage of Navel oranges is theirhigh resistance to transport and storage. Medium sized fruit, of spherical shape, orange colour, very juicy flesh,seedless or with few seeds, with excellent scent and thin skin. 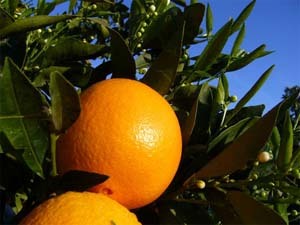 The period Valencia oranges thrive is from mid-April until the end of July. It has highresistance to transport and storage. Medium sized fruit, of round or oval shape, red orangecolour, with juicy seedless flesh, excellent scent and average skin thickness. The periodNavelinavariety flourishes is from mid-November until mid-January. Its sweet taste and precocity boast. 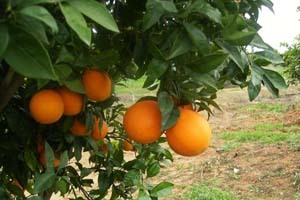 It is a late orange variety that has appeared in theChania area production during the last five years. Large fruit, of spherical shape, bright orange colour, with juicy seedless flesh, excellent scent and average skin thickness. It has excellent taste as an edible fruit. High resistance to transport and storage. The period Lane Late Navel variety thrives is from March to mid-May. 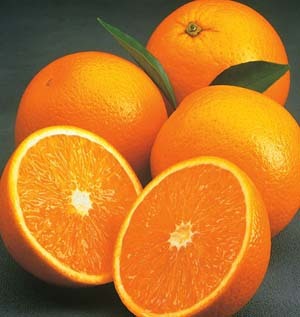 Oranges are available all year round as there are many different varieties. It is a fruit rich in vitamin C, potassium, selenium and fiber. The nutritional value of orange is considered unquestionable and its advantages are indeed not limited to vitamin C.
A glass of orange juice (250 ml) gives our body up to twice the recommended daily vitamin C intake. Vitamin C helps in the iron absorption by the body and that’s whyan orange juice during or after a meal is recommended to those suffering from iron deficiency anemia. At the same time, orange stimulates the immune system, helping the body defend itself against colds and viruses and so the doctors insist on consuming oranges in order to guard against the common flu. 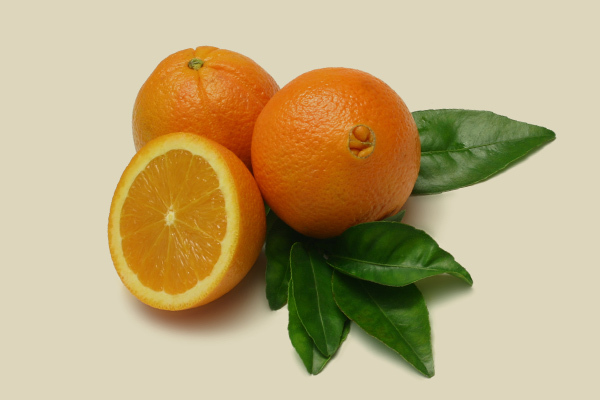 Moreover, orange brings together more than 170 substances with remarkable antioxidant effect. Studies have shown that the flavonoids it contains help to fight inflammation and inhibit cancer cells. Furthermore, it contains 38 different limonoids that provide a natural shield against cancer. Moreover, the combination of vitamins offered in oranges (A, C and E) operate advantageously to prevent heart disease, strokes, regulating blood pressure, and effectively reduce hypertension and cholesterol because of high fiber content. Orange has a beneficial effect on the development of the nervous system, contributes to healthy skin, bones gums as well asgood bowel function.